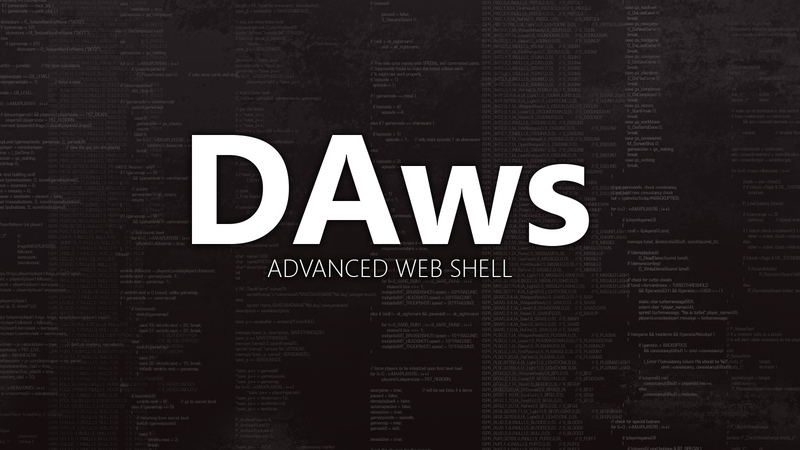 DAws is an advanced web shell with a lot of features. 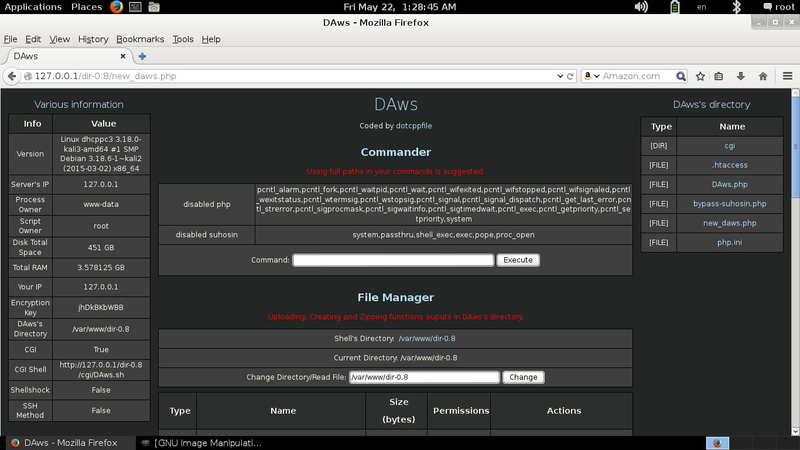 Bypasses Security Systems(IPS, WAFs, etc) like Suhosin(uses up to 20 PHP functions just to get a command executed). Drops CGI Shells and communicate with them to bypass Security Systems. Uses the SSH Authorized Keys method to bypass Security Systems. Uses Shellshock in 2 methods to bypass Security Systems. Is completely Post Based and uses a XOR Encryption based on a random key that gets generated with every new session + private base64 functions to bypass Security Systems. Finds a writeable and readable directory and moves there if it's a web directory; DAws will output everything in that found directory. Drops a php.ini and a .htaccess file that clears all disablers incase "suphp" was installed. Has an advanced File Manager. Everything is done automatically so there's nothing for the user to worry about.